Over the weekend in Cairo, conflict broke out in the archaeology community. 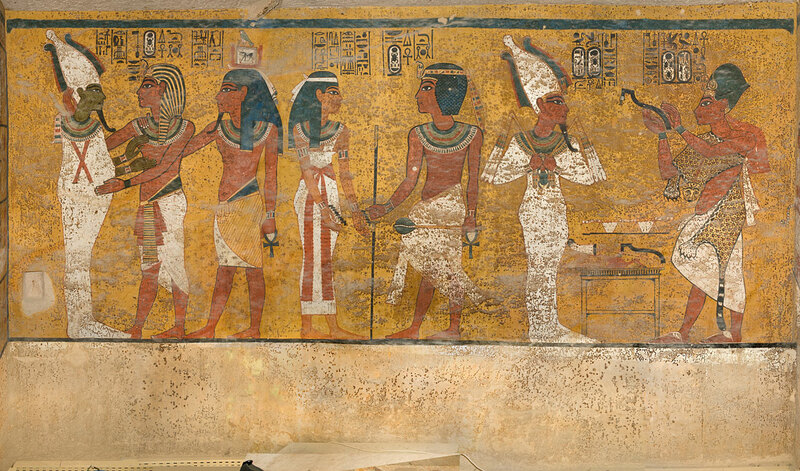 Ground-penetrating radar has revealed peculiar results that some believe indicate additional rooms behind a solid wall in Tutankhamun’s tomb. Others reject this new theory. British Egyptologist Nicolas Reeves offered up this theory last year following scanning results that he says suggest two open spaces filled with metal and organic matter. Zahi Hawass, famous Egyptologist and former Egyptian Minister of State for Antiquities Affairs, remains dubious. Those backing Reeves are pushing to excavate, but to the naysayers, causing damage to the ancient burial chambers to follow a hunch is something antiquities of this magnitude can ill-afford. But one thing’s for certain in this battle of the minds — the issue has renewed interest in the exploration of these chambers that once housed one of pharaonic Egypt’s most iconic figures, a boy-king buried behind a magnificent golden mask. Burial Chamber. North wall of the burial chamber of Tutankhamun, Valley of the Kings. Some archaeologists believe an additional space exists behind this ancient artwork. As the world of archaeology continues to bring to light new information on the issue, Houston Museum of Natural Science’s Consulting Curator of Egyptology Tom Hardwick is keeping his eye on the ball. No matter what news should erupt from Egypt in the next few weeks, he believes a return to the science of King Tut is of greater importance. Tut’s character as a “poor, sweet little boy” are fabrications of our own culture, Hardwick said, a kind of ontology that requires as much the injection of our society’s values into ancient history as the discoveries we’ve made from exploration, interpretation and scientific testing. And the marriage of the two is a big problem. 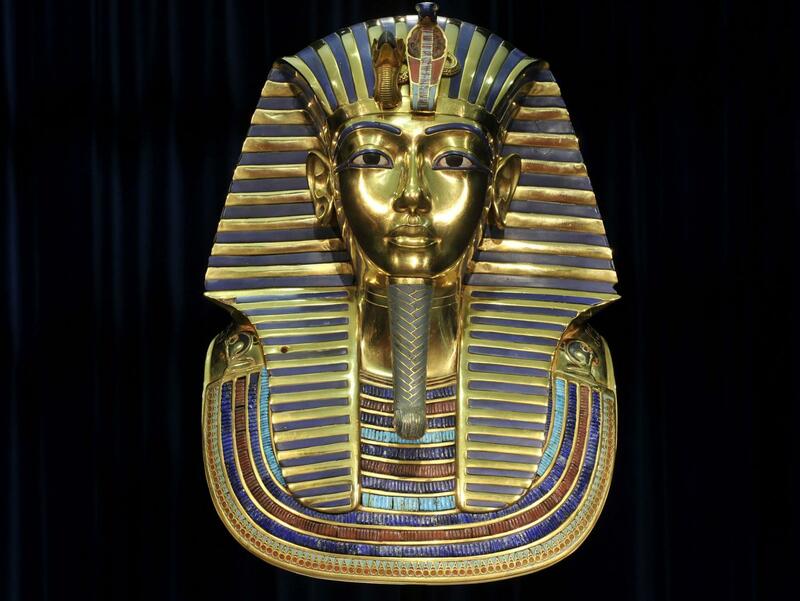 King Tutanhkamun’s famous death mask. From evidence unearthed from the tomb of a single pharaoh like Tutankhamun, we can learn more about the society and culture of entire Egyptian states in 1300 B.C. than we can about the pharaoh’s life. Hardwick will explore this thesis in an HMNS Distinguished Lecture Wednesday night. His presentation will compare the solid facts the archaeological community has accumulated over time with the stories we’ve invented to enrich the science with narrative. The story of the original discovery of King Tut’s tomb highlights another central issue involving the international trade of Egyptian antiquities — where do these finds belong? In the countries of the archaeologists who discovered them or the nations in which they were discovered? In Hardwick’s words, King Tut was “a wind-vane of our own preoccupations” at the time of his discovery. When British archaeologist Howard Carter found Tutankhamun’s tomb in the 1920s through painstaking research and excavation in the Valley of the Kings, the several thousand exquisite objects inside became the subject of great contention between Egypt and Great Britain. In the years following, the tug-of-war elevated King Tut to an iconic status as a symbol of the struggle of two governments to come to a mutual resolution in the interest of human history. 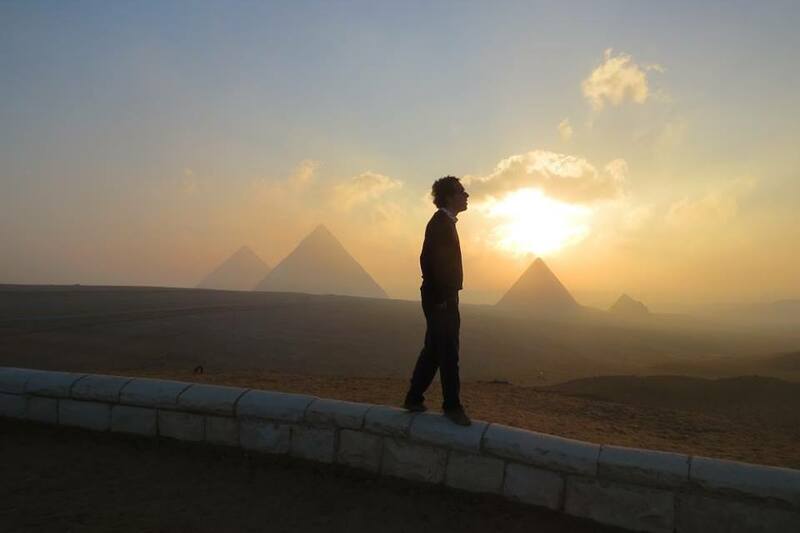 Visit HMNS Wednesday night to hear these stories and more as news develops in Cairo. To see our own collection of historical treasures, explore the Hall of Ancient Egypt. Jason is the Marketing and PR Manager for HMNS and a man of many hats. Over the years, he has been a wedding band saxophonist, a portrait studio photographer, a newspaper journalist, a sixth-grade teacher, a college instructor, a compost salesman, and a rock climbing guide, but his greatest dream is to publish novels. He could pronounce “euoplocephalus” and “rhamphorynchus” before his parents could. Great silhouette of Tom.. Wish I had thought to strike that pose ! With a membership level for everyone; Don't just read about it, see it. DST = Daylight Savings Time. Stay in the know. Join our mailing list.